Marshall Walter aka Major Taylor was born November 26, 1878, in Indianapolis, Indiana. In the early years of his life, Taylor grew up with little money. His father, a farmer and Civil War veteran, worked as carriage operator for a prosperous white family. 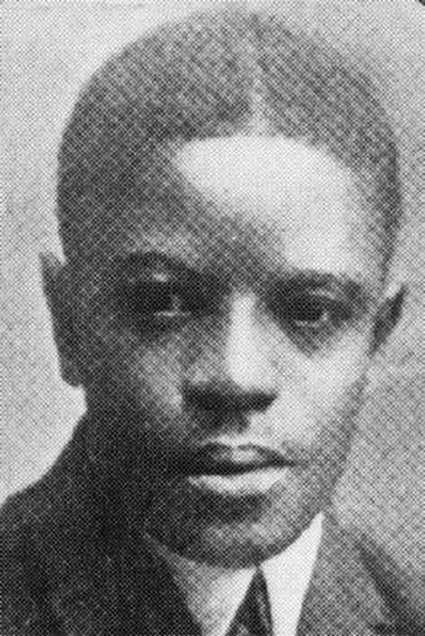 Major Taylor frequently joined his dad at the job and became close to his father’s employers, especially their son, who was similar in age. Eventually, Taylor moved together with the family, a radical change that gave the young boy a more stable home situation with opportunities for a better education. 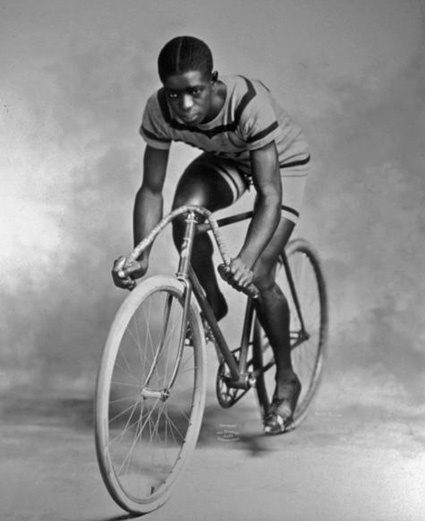 Major Taylor was essentially treated as one of the family’s own, and one of their early gifts to him was a new bike. Taylor took to it immediately, teaching himself bike tricks that he showed off to his friends. 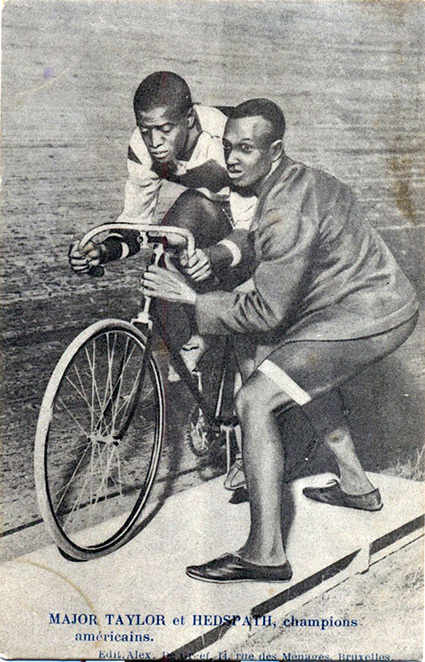 With the encouragement of the bike shop owner, Major Taylor entered his first bike race when he was in his early teens, a 10-mile event that he won easily. By the age of 18, Taylor had relocated to Worcester, Massachusetts, and started racing professionally. In his first competition, an exhausting six-day ride at Madison Square Garden in New York City, Taylor finished eighth. From there, he pedaled into history. 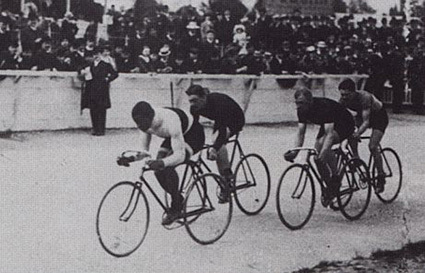 By 1898, Major Taylor had captured seven world records. A year later, he was crowned national and international champion, making him just the second black world champion athlete, after bantamweight boxer George Dixon. He collected medals and prize money in races around the world, including Australia, Europe and all over North America. Exhausted by his grueling racing schedule and the racism that followed him, Taylor retired from cycling at age 32. Despite the obstacles, he had become one of the wealthiest athletes — black or white — of his time. Sadly, Major Taylor found his post-racing life to be more difficult. Business ventures failed, and he wound up losing much of his earnings. He also became estranged from his wife and daughter. 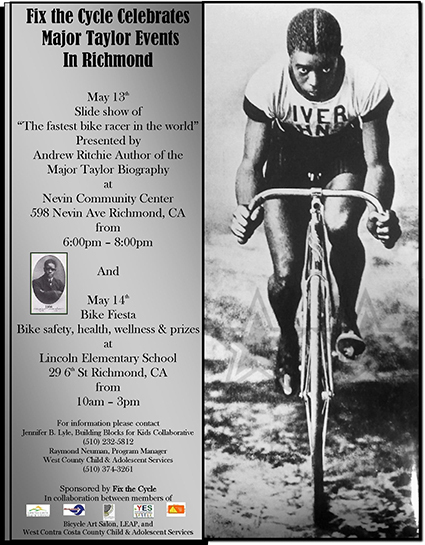 Major Taylor moved to Chicago in 1930, and boarded at a local YMCA as he tried to sell copies of his self-published autobiography, The Fastest Bicycle Rider in the World. He died penniless in the charity ward of a Chicago hospital on June 21, 1932. Buried in the welfare section of Mount Glenwood Cemetery in Cook County, Illinois, Taylor’s body was exhumed in 1948 through the efforts of a group of former pro racers and Schwinn Bicycle Company owner Frank Schwinn, and moved to a more prominent area of the cemetery.